The Gloucester Township Police Department has received federal funding to promote community awareness of crime victims’ rights and services during 2019 National Crime Victims’ Rights Week (April 7 – 13, 2019). Our goal is to have more people learn of these valuable services which are completely free and also serve as a connection to broader victim services available through our county prosecutor's victim-witness office as well as when necessary the New Jersey Children Systems of Care. The funding will be used to create a GTPD Victim Services Video, host a Resource Fair, conduct a victim and Domestic Violence Response Team Roundtable and to form High School Student focus groups as part of a Community Awareness Project in Gloucester Township. The funding comes from the U. S. Department of Justice Office for Victims of Crime (OVC) through the National Association of VOCA Assistance Administrators (NAVAA). Since 2004, OVC’s NCVRW Community Awareness Project has provided financial and technical assistance to more than 1,000 community projects that promote victim and public awareness activities, and innovative approaches to victim/survivor outreach and public education about victims’ rights and services during National Crime Victims’ Rights Week. The Gloucester Township Police Department Project was one of the 92 projects recommended by NAVAA and selected for funding by OVC for 2019 from the 200 applications that were submitted nationwide. For additional information about 2019 National Crime Victims’ Rights Week activities or about victims’ rights and services in Gloucester Township, please contact the Gloucester Township Police Community Relations Bureau at communityrelations@gtpolice.com or call police services during regular business hours at 856-228-4011. 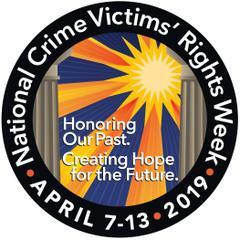 For information about national efforts to promote 2019 National Crime Victims’ Rights Week, please visit the Office for Victims of Crime website at www.ovc.gov/ncvrw.